I recently chose to ride on a bus for 10 hours with my teenage son and daughter to the National Catholic Youth Conference. The bus ride was an important factor in choosing to attend the conference. I felt a deep desire to better know my kids. A recent study found that young people get about five minutes a week of uninterrupted face time with their parents. This causes many problems, including the breakdown of trust between parent and child. Additionally, this deprivation of connection erodes those children’s confidence, and it weakens the connection between parents and children. The bus ride is 20 hours to share stories, to make memories and to connect. Each of our relationships needs a long bus ride. By merely looking at our kids, we change how they look at themselves and the world. We endlessly stare at our infants. They imprint on our faces. They mirror our facial movements. They learn to be comforted and guided by our facial cues. As they grow older, they do not lose this tie or need for face time, being heard, patiently cared for and adored. Although they may have their place, nagging, syncing our schedules and directing are not the relationship builders that I am speaking of here. We get so busy doing things for those that we love that we can squeeze out the time to nurture the relationships with those same people. Scripture reinforces this idea through the Mary and Martha story. Parents, bless your family with enhanced face time. The evangelization division is promoting the CarePortal. Many kids, more than 1000 in Johnson and Wyandotte counties, are out of their homes and in foster care. The good Samaritan story asks us to care for the hurting stranger. These kids need face time. All of God’s children need face time. The CarePortal is an amazing tool to help us care for hurting families. 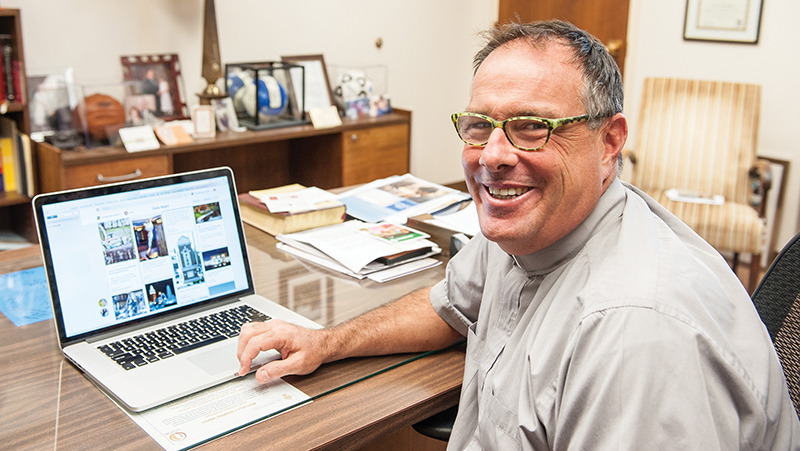 Parishes are being drawn to the CarePortal because it takes a tiered approach to supporting hurting kids and families. Learn how to join CarePortal, an online church engagement tool that connects the state (child welfare workers) to the church. Child welfare workers uncover the needs. CarePortal makes local churches aware, giving them a timely, nonthreatening invitation and opportunity to respond. Learn more at: careportal.org about Tier 1, which provides physical support; Tier 2, which supplies relational support; and Tier 3, where your house becomes a home for a hurting child. Or call me for information at (913) 647-0331.